Professor Chris Hamnett FAcSS, FRSA, has been at King’s since 1995. Before coming to King’s, he had a long career at the Open University interspersed with numerous visiting positions, including UBC, George Washington University, ANU, the Netherlands Institute for Advanced Studies, Nuffield College Oxford, where he held the Sir Norman Chester Senior Research Fellowship, and recently at Sciences Po, Paris. He is regarded as a leading British expert on housing wealth and inheritance and a leading researcher in the fields of social polarization, gentrification and housing. He has authored or co-authored a number of books including Winners and Losers: Home Ownership in Modern Britain (1999), Unequal City: London in the Global Arena (2003) and, with Tim Butler, Ethnicity, Class and Aspiration: Remaking London's New East End (2011). His current research is on the links between social class, ethnic change, the housing market and education in East London, and the impact of welfare benefit cuts in London. Mr YANG Xiaokun, Minister-Counsellor of the Embassy of the People’s Republic of China in the United Kingdom. He previously served as Minister-Counsellor, Permanent Mission of the People’s Republic of China to the United Nations Office at Geneva (2013–2018), Desk Officer, Third Secretary, Deputy Director, Department of International Organizations and Conferences, Ministry of Foreign Affairs, China (1996–2003), Political Officer, the Embassy of the People’s Republic of China in the Republic of Zambia (1993–1996), Desk Officer, Protocol Department, Ministry of Foreign Affairs, China (1991–1993). Minister-Counsellor YANG studied at Beijing Foreign Studies University, China, from 1987 to 1991. Professor Lord Anthony Giddens, renowned contemporary sociologist, Emeritus Professor at the Department of Sociology, and former Director of LSE. He is also a Life Fellow of King’s College, University of Cambridge. Giddens’s impact upon politics has been profound. His advice has been sought by political leaders from Asia, Latin America and Australia, as well as from the US and Europe. He has published extensively, including Turbulent and Mighty Continent: What Future for Europe? (2014), In Defence of Sociology (2013), The Politics of Climate Change (2011), Europe in the Global Age (2007), The New Egalitarianism (2005), The Third Way and its Critics (2000), Runaway World: How Globalization Is Reshaping Our Lives (1999), and Politics, Sociology and Social Theory: Encounters with Classical and Contemporary Social Thought (1995). His books have been translated into some 40 languages. Professor Charles Sampford studied philosophy and law at Melbourne, combining them in his 1986 Oxford DPhil. In 1991, Griffith University approached him to be their Foundation Dean of Law and he established the curriculum and research culture, reaching number 43 on one global ranking and number 38 on another. He bid for and led the only Australian Research Centre (ARC) and only ARC network in law or governance. He is currently Director of the Institute for Ethics, Governance and Law, a multi-university strategic research centre at Griffith, established on the initiative of the United Nations University. Visiting appointments have included a Senior Fellowship at St John’s College Oxford and Senior Fulbright Award to Harvard. In June 2008, his work on ethics and integrity systems was recognized by the ARC as one of the 20 researchers across all disciplines who had had the greatest impact. He convened the World Ethics Forum in Oxford in 2006 and the first three Integrity 20 summits. He has written over 150 articles and chapters and has completed 32 books and edited collections with OUP and other leading international publishers. He is currently completing Building the Rule of Law in International Affairs for OUP. Charles is also a barrister and company director and has been consulted on governance issues by numerous governments, parliamentary committees, international agencies and NGOs. He has argued that ‘universal values are at the asymptote of infinite dialogue but that all such dialogue promotes either convergence or an awareness of difference‘. He put this into practice in speeches in New York, Tokyo, Beijing, Jakarta and Kuala Lumpur. Abstract: We are used to debating the governance values that should guide peoples and polities within sovereign states – liberty, equality, fraternity, citizenship, democracy, human rights, the rule of law and, more generally, ‘justice’. However, as the world ‘globalizes’, a key question is what values should guide the emerging global order. Should they be Western versions of those values writ large? Or the result of dialogues between long-standing cultures in which the dialogue promotes convergence of values and, in some cases, the recognition of difference? Some governance values are hard to apply at the global level (e.g. democracy and citizenship). Some are the subject of radically different conceptions (especially ‘justice’). Some make the transition reasonably easily. At the 2005 United Nations World Summit, member states unanimously recognized the need for ‘universal adherence to and implementation of the rule of law at both the national and international levels’ and ‘reaffirmed their commitment to “an international order based on the rule of law and international law”’ (often shortened to ‘a rules-based international order’). We then consider the arguments for adhering to the international rule of law – with strong pragmatic arguments for superpowers as well middle-ranking powers. It will emphasize that the rule of law is a value that all states must apply to themselves as readily as they criticize others. But, if the rule of law is to come to international affairs, it will require more than lip service. What would need to change and how would that change come about? One way of answering the first question is to examine those factors which give strength to the domestic rule of law and ask whether similar factors are present or could develop. The paper will argue that the domestic rule of law is strong where two kinds of supports are present. First, the rule of law forms an important part of the ethics of key groups of actors or potential actors in the domestic polity, including a range of professionals and office bearers – soldiers, judges, civil servants, lawyers and, to an extent, police, corporate executives and elected officials. The relevant ethical precepts are built into their everyday practice. Second, there are a significant number of institutions which support the rule of law courts, parliaments, integrity agencies (such as ombudsmen, auditors-general, ICACs, etc.) and generally oppose its breach (the legal profession, civil society and the media). The two kinds of support are mutually reinforcing and together provide good reasons for general (if not universal) adherence to the rule of law. The particular groups and institutions may vary from jurisdiction to jurisdiction. At the international level, they are, and are likely to remain, different. They are collectively much weaker than in effective liberal democracies. But they are stronger than in weak democracies and are arguably growing stronger. The final part of the paper will consider how the rule of law needs to be supplemented by other governance values if we are to seek ‘global justice’. Professor ZHU Guanglei, Vice-President of Nankai University; ‘Cheung Kong Scholars‘ Program Distinguished Professor; member of the State Council Subject Consultative Group, Deputy Director of the Colleges and Universities Political Science Steering Committee; Vice-President of China Public Sectors Reform Research Council; Vice-Chairman of Tianjin Federation of Social Science. Research areas mainly located in Chinese government and politics and Chinese social class differentiation. Representative works include Analysis of Contemporary Chinese Social Class; The Governmental Process of Contemporary China; Modern Government Theory; Governing China – Decision Making and Implementation: Interpretation of the Processes of the Chinese Government, and so on. The paper ‘A Critique of the “Isomorphic Responsibility” Governmental System‘ has been reprinted by Xinhua Digest. A special allowance of the State Council was granted him in 1993. The title of National Distinguished Teacher was awarded in 2003. In 2004, the course ‘Chinese government and politics‘ was selected as a National Course of Excellence. In addition, his ‘Chinese government and policy teaching group‘ was honoured as a National Outstanding Team in 2008. Abstract: 1. Differentiation: The main line of structural changes of Chinese social classes in the past 40 years. The number of agricultural workers continues to decrease, and will continue to decrease in the process of industrial restructuring. The number of workers continues to increase. ‘Outward-going migrant workers’ have become the basic components of the working class, while ‘Migrant workers on the land’ are the marginal and transitional components of the working class. The number of private entrepreneurs and individual labourers continues to increase, and the social members who are employed ‘outside the system’ are already the majority. The ‘generalization’ of the term ‘intellectuals’ is decreasing, while ‘intellectuals’ are divided as a class, and ‘professional and technical people’ have become a relatively independent social class. The structural change of Chinese social classes is a historical process of ‘from identity to contract’. This is a positive and progressive social movement, an important part of reform and opening up, a fundamental for China's long-term development, as well as the basic social foundation for the development of democracy and the rule of law. Faced with these changes, especially when confronted with the negative elements arising from these changes, people can choose conflicts or choose to be tolerant when dealing with class relationships. In today’s China, the best subjective choice is toleration, and it is also ‘tolerable’ between each class that is participating in this process objectively. The most fundamental basis for the choice of inclusion is that most of these negative problems are problems that need to be resolved in deepening reforms and continuous development. For example, China has three ‘Gini coefficients’ of national, rural and urban, exhibiting a kind of gourd-shaped income distribution difference. Therefore, the situation is very complicated and it can only be solved in the process of gradually dissolving the ‘dual society’. As another example, there have been relatively more debates on ‘class solidification’ in academic circles in recent years. The problem is actually not more serious than in other countries. Social mobility is still in active progress. There is indeed a ‘solidification’ phenomenon, but it cannot be said that the society has ‘solidified’. build a service-oriented government in the process of transforming government functions. Professor Martin Albrow In a career in sociology spanning over 50 years, Martin Albrow, PhD (University of Cambridge), held the Chair in Sociological Theory in the University of Wales in Cardiff before becoming Professor Emeritus in 1989. Since then, he has held visiting positions in numerous institutions, including the Eric Voegelin chair in Munich, and chairs in the London School of Economics, State University of New York, Stonybrook, and the Beijing Foreign Studies University. He has been Fellow at the Woodrow Wilson International Center for Scholars, Washington DC, and the Käte Hamburger Center for Advanced Studies ‘Law as Culture’, Bonn University. He is now based in London, acting as Honorary Vice-President of the British Sociological Association, and Honorary President of Global China Institute. Currently a Fellow of the Academy of Social Sciences in the UK, in the past he has been President of the British Sociological Association, Editor of the journal Sociology and founding Editor of International Sociology, the journal of the International Sociological Association. His first visit to China was in 1987 on an observational tour with the State Family Planning Commission and in recent years he has contributed to the annual Symposium on China Studies with the Academy of Social Sciences and the Ministry of Culture of the PRC. His specialties include social theory, organization theory and Max Weber’s thought, and he is internationally known for his pioneering work on globalization. His The Global Age: State and Society beyond Modernity (1996) won the European Amalfi Prize in 1997. Other books include Bureaucracy (1970), Max Weber’s Construction of Social Theory (1990), Globalization, Knowledge and Society (1990, ed. with E. King), the first book with the keyword 'globalization' in title (book reviewed by Roland Robertson, Contemporary Sociology, Vol. 21, No. 1, Jan. 1992), Do Organizations Have Feelings? (1997), Sociology: The Basics (1999), Global Civil Society (co-editor) in 2006/7, 2007/8 and 2011, Global Age Essays on Social and Cultural Change (2014), and China's Role in a Shared Human Future: Towards Theory for Global Leadership (2018). Professor Susan Robertson is Professor of Sociology of Education in the Faculty of Education, University of Cambridge. She has held academic posts in Australia, New Zealand and the UK, prior to taking up the Chair in Sociology of Education at Cambridge. She has well over 150 publications and books, and written extensively on the relationship between the state, education policymaking and education opportunities. She is the founding Editor of the journal Globalisation, Societies and Education, and is convenor of the research cluster Culture, Politics and Global Justice in the Faculty. Susan has also provided policy advice to governments, foundations and teacher unions, particularly on education policy and governance. Abstract: How education systems are governed matters in every society. They are both the one institution all members of a society must pass through, and are central in shaping futures. How in any one society do its members come to participate in debates about how education should be governed, and how and where are decisions made around the distribution of opportunities, as well as how inequalities are mediated? How much say should global actors have in relation to any one country’s education system when education is a national concern? What is the best governance model to ensure economic development, on the one hand, and social justice, on the other? Are these compatible objectives or are they in tension with each other? Some countries have increasingly turned to the market as supposedly a neutral arbiter of interests, and as a source of innovation via competition. Other countries have taken the view that the state needs to oversee education to ensure planning and deliver on longer-term social and developmental objectives. In this intervention, I consider the challenges and risks of ‘too much’ market and the negative effects of excessive competition for education systems, when quality, equity and other social justice questions are placed more centrally in the frame. Professor ZHANG Zhancang, born in May 1958, PhD, researcher, PhD supervisor, former president of the Henan Academy of Social Sciences, expert in regional economics, Vice-President of the China Regional Economics Association, a 50-member expert forum on Chinese regional economy. He has published more than 150 academic papers, and has been the chief editor and associate editor of more than 30 academic monographs. He has made great achievements in research on economic zones, international aviation hubs, pilot free trade zones and the open economy. Abstract: Among the world's four major sources of civilizations, only the Chinese civilization has persisted uninterrupted and in an orderly fashion. The fundamental reason is the inclusive nature of traditional Chinese culture. While adhering to its traditional characteristics, the inclusive culture, with its open mind, continuously absorbs and draws on the nourishment of foreign cultures, is tolerant and inclusive like the sea accepting hundreds of rivers, forming a profound culture, with particular emphasis on ‘gentlemen being at the same time harmonious and different’. Whether it is the need to analyse the history of the shift of the Chinese economy from high-speed growth to high-quality development, or to deal with the emergence of counter-globalization and the impact of a global trade war on the evolution of the political economic landscape, further advocacy and the promotion of an inclusive culture will have a particularly important strategic significance in promoting global openness. China has proactively proposed major initiatives from four perspectives to expand and open up with high quality, supporting the construction of the whole Hainan Island pilot free trade zone, exploring the construction of a free trade port with Chinese characteristics, further promoting investment and trade facilitation, entering the 3.0 era of high-quality open development, as well as injecting new impetus into the new globalization. The idea of building a ‘community of human destiny’ proposed by Xi Jinping is also rapidly spreading across the world and taking root everywhere. We believe that inclusive culture is the ideological foundation for promoting open development. China has already launched the new era of high-quality open development, and has to actively promote a higher level of globalization, while new globalization needs the nourishment of inclusive culture. Mr Duncan Bartlett is the Editor of the monthly political magazine Asian Affairs. He also writes regularly for Japanese newspapers including the Nikkei and the Sankei and has recently contributed to Week in China and China Radio International. Mr Bartlett presented World Business Report on the BBC World Service for 15 years and is a former East Asia Correspondent. He now broadcasts on Monocle Radio. In addition to journalism, Mr Bartlett is the founder of Deliver Your Message, which specializes in enabling top-level communication for international clients. He holds a NCFE Award in Education and Training from City of Westminster College, UK, a Business Communication qualification from the Dale Carnegie Institute, USA, and a certificate in Japanese language proficiency from the University of Westminster. Topic: Is China refashioning the established global order? Abstract: A framework of institutions such as the World Bank and the IMF has guided the relationships between countries since the 1940s. They take a multilateral approach but leave the United States and other neoliberal states with great influence. In recent years, Chinese has tried a new approach towards international engagement, focused more on bilateral, transactional exchanges of resources. The so-called ‘China model’ has already had a huge impact in Africa and Southeast Asia. Does it mark a process by which China is refashioning the established order? Will the Chinese Renminbi one day overtake the US dollar as the dominant global currency? And how can China engage in global programmes alongside countries that have political systems very different from its own? Dr Marek Hrubec, PhD, is Director and Senior Research Fellow of the Centre for Global Studies at the Czech Academy of Sciences in Prague, and Member of the European Academy of Sciences and Arts. He also lectures at Charles University in Prague. He has focused particularly on global studies, China studies, global justice and intercultural dialogue. His latest books are: Social Transformations and Revolutions (ed. with J. Arnason; Edinburgh University Press, 2016); From Social to Cyber Justice: A Critical View on Law, Ethics, and Justice (ed. with N. de Oliveira and E. Sobottka; Porto Alegre and Prague, 2018). He has lectured in many countries in the EU, the USA, China, Russia, Brazil, Chile, India, Vietnam, New Zealand and elsewhere. Abstract: The presentation deals with the issue of macro-regions concerning governance for global justice. In particular, it will analyse the potential for global transcultural consensus among states and cultures by means of international and transnational macro-regional cooperation and dialogues on poverty and other problems. It is a contribution towards overcoming the confrontations between states and cultures and the eradication of the coercive imposition of restrictions. It requires a formulation of governance based on the interests and values of individual states and macro-regions and the dialogue among them. The interpretation of the paper is a contribution to creating ‘unity in plurality’, i.e. a universality of global justice within the plurality of states and cultures. The Belt and Road is an example of an initiative that contributes to this kind of global cooperation based on a synthesis of traditional bilateral and multilateral cooperation and a new macro-regional cooperation. The presentation will explain the importance of macro-regions in this framework, focusing mainly on a comparative analysis of macro-regional institutionalized cooperation: the specific economic corridors, 16+1 Cooperation (Central and Eastern European Countries + China), CAREC (Central Asia Regional Cooperation), FOCAC (Forum on China–Africa Cooperation), and China–CELAC (China–Latin America and the Caribbean States Forum). Overcoming one-sided unilateralism, the presentation will stress the multipolar and transpolar world that would develop global governance in order to avoid conflicts and to reach a higher quality of living for all the people. Dr Jennifer Holdaway is currently a Senior Research Fellow at the Oxford School of Global and Area Studies. From 2008 to 2016, she was a Programme Director and China Representative at the Social Science Research Council, where she founded the China Environment and Health Initiative. From 2003 to 2008, she was a Programme Officer in the SSRC’s International Migration Programme, working on projects related to migration and development, migration and education, and gender and migration. Since 2008, she has been based in Beijing at the Institute of Geographic Sciences and Natural Resources Research as Co-Director of the Forum on Health, Environment and Development (FORHEAD). She has published widely, and with many colleagues, on environment, health and development, and on migration-related issues. Abstract: Addressing the effects of environmental pollution on public health is now firmly on the policy agenda in China and strong new measures have been introduced across the environmental protection, health and other policy streams. However, progress will be challenged by the reliance of many poor regions on polluting industries and the human capital and other constraints on rapid upgrading of the economic structure. Effective implementation will require not only stronger environmental regulation and enforcement, but also policies to ensure that the costs of reducing pollution do not fall disproportionately on poor regions and communities. Mr XIAO Hong, Vice-President and Deputy Editor-in-Chief – China Academic Journal (CD) Electronic Publishing House Co. Ltd., Director of Chinese Scientific Bibliometrics Research Center of CNKI and General Manager of International Publishing Center of CNKI. Mr XIAO is an expert with Special Government Allowances of the State Council, and the winner of the First China Governmental Prize for Publishing: Elitist (2007) and ‘Leading Talent in the National Press and Publication Industries’. He is an information professional in academic publishing and scientific bibliometrics with over 30 years of experience. He obtained his MS from Huazhong University of Science and Technology in 2000 and his Senior Editor position in 2002. He has been the Director of Acta Pharmacologica Sinica for 11 years, and was the founder and Editorial Director of the Asian Journal of Andrology as well as Family Medicines. During 2002–2006, he was the founder and Director of the Shanghai Information Center for Life Sciences, which is responsible for offering library and information services to Shanghai Institutes for Life Sciences, Chinese Academy of Sciences. From 2006 to 2012, he was the Deputy Editor-in-Chief of Science Press, and the General Manager of Science China Press. He joined CNKI in 2012 and is now the Vice-President and Deputy Editor-in-Chief of Chinese Academic Journals (CD) Publishing Co. Ltd, and Director of the Chinese Scientific Bibliometrics Research Center of CNKI. He has made a great contribution to Chinese scientific bibliometrics, being the Editor-in-Chief of the Annual Report on International Citation of Chinese Academic Journals (2016) and the Annual Research Report on the Impact Factor of Science and Technology / Humanities and Social Sciences (2016). Abstract: Based on research papers from 8,000 Chinese academic journals and dissertations and theses from 752 institutions in CNKI during 2008–2017, the bibliometric statistical results were analysed with paper titles (or keywords or abstracts) that had a focus on ‘environmental justice’ or ‘ecological justice’. The results showed that in May 1981, CAI Shouqiu from Wuhan University published a paper ‘Environmental ethics should be promoted’ in the Journal of Wuhan University (SS edition), in which the concept ‘environmental ethics’ was first introduced. But the concept of ‘ecological justice’ was first reported in 1988, in the article ‘On ecological morality’ written by ZHOU Hong from Yunnan University in Thinking (Sixiang Zhanxian). In it, he wrote: ‘Ecological justice means that the behavior of individuals or social groups conforms to the principle of ecological balance and the people's desire to protect the environment.’ Ten years later, in 1998, CAI Shouqiu published ‘On the development of contemporary environmental law’ in Studies in Law and Business, in which he first introduced the concept of ‘environmental justice’. From 2008 to 2017, studies on this theme increased very rapidly, from 97 (in 2008) to 168 (in 2017), finally reaching a total of 1,321 papers in journals. At the same time, the number of dissertations and theses reached a total of 445, from 27 (in 2008) to 47 (in 2017). Hunan Normal University, Wuhan University and Zhongnan University of Economics and Law are the top three universities publishing papers on such topics. The Chinese Academy of Social Sciences published the greatest number of relevant papers, while the Academia Sinica (Taiwan) had the highest number of citations/paper and downloads/paper. For ‘environmental justice’ studies published in journals, WANG Yuchen from Zhongnan University of Economics and Law has received the most total citations and total downloads. As for graduate theses, the graduate tutor XU Xiangmin from Ocean University of China has received the largest number of total citations and total downloads. The hot keywords appear to be ‘environmental justice’ (623), ‘ecological justice’ (246), ‘ecological civilization’ (209), ‘justice’ (79) and ‘ecological crisis’ (76). During the past 10 years, the most cited journal paper (total 82 citations, of which 43 are from Master’s degree theses, and 35 are from journal articles) was written by WANG Caibo from Jilin University, ‘Analysis of the challenge of NIMBY conflict to the government: analysis from the perspective of environmental justice’, published in Social Science Front in 2012. It emphasized that the adverse consequences of NIMBY facilities are not borne by all but only by a small number of people. The NIMBY conflict reflects the inconsistency between those who bear the consequences of NIMBY facilities and those who enjoy social welfare, which runs counter to the idea of environmental justice. The most downloaded journal paper was ‘On ecological Marxism and the study of ecological civilization theory in China’, written by WANG Yuchen from Zhongnan University of Economics and Law, which was published in Studies on Marxism in 2011. He emphasized that, ‘on the basis of historical materialism theory, we should regard the realization of environmental justice as the value principle of ecological civilization theory research, effectively safeguard China's environmental rights and developmental rights, and promote the sustainable development of China's economy and society.’ The most cited dissertation for a PhD degree (96 citations) was ‘A legal philosophy study on environmental justice’, written in 2005 by Dr M. A. Jing from Jilin University; it also got 3,583 downloads. The most downloaded dissertation was ‘Research on ecological ethics and ecological ethics research’, written in 2013 by Dr WANG Shunling from Beijing Jiaotong University; it got 4,355 downloads. CNKI's database can help us make a historical evaluation of the academic impact of research results in this field. Mr Steve Trent has over 30 years‘ experience in environmental and human rights campaigning, creating effective advocacy and communications campaigns and field projects, as well as leading investigations in over 40 countries. He is the Executive Director and co-founder of the Environmental Justice Foundation (EJF), www.ejfoundation.org. Steve also co-founded WildAid, www.wildaid.org, serving as President for over a decade, and leading WildAid’s work in China and India. Prior to this, Steve was the Campaigns Director at the Environmental Investigation Agency (EIA). Abstract: In this presentation Trent makes the compelling case for the growing need for Chinese leadership across key sectors of our global environmental governance regime, with a specific reference to climate, oceans and wildlife conservation and the interaction of these key issues with environmental security, economic and social well-being and national, regional and global political stability. He highlights the potential to use Chinese economic and political strength, alongside its cultural reach and influence, its soft power, to drive change in the systems and structures of global environmental governance to support environmental sustainability and through this social and economic justice. Dr ZHANG Xiaodong, Vice-President and Secretary General of China Management Science Society, Vice-Chairman of China Science and Technology Consulting Association, Founder of Agile Think Tank (http://www.agile.org.cn), Dean of Cloud Manufacturing Research Institute, PhD in Management, part-time or visiting Professor at Chinese and overseas universities such as Southeast University School of Computer Science, Nanjing Aeronautics and Astronautics University School of Mechanical and Electrical Engineering, Anhui University of Science and Technology School of Humanities and Social Sciences, Macao University of Science and Technology School of Business. Expert of National special support program for high-level personnel recruitment (Ten-thousand Talents Program),Ten thousand excellent mentors of Innovation and Entrepreneurship in Ministry of Education. Engaged in the research, development and practice of information technology, advanced manufacturing, management science, industrial policy, etc., for 30 years; edited the Blue Book of Management and organized the Dongshahu·China Management Forum100(CMF100). Abstract: Digitization is changing the shape of the global economy and the way humans relate to the world. Information technology provides new tools, new means and new models for global environmental governance. In a digital world, we call for an inclusive, pluralistic model of global governance, open and transparent cooperation in the economic and social fields, achieving the sharing of resources among countries, strengthening infrastructure and market connectivity, exerting optimal efficiency of resources, relieving global environmental pressure and constructing the human destiny community that can benefit the people of the world. At the same time, the era of the digital economy has come. Internet, cloud computing, big data, artificial intelligence and other technologies have accelerated the digital economy to the pinnacle of development. Information technology has greatly promoted the development of productivity, and data resources are becoming the energy and wealth of the digital economy. The popularization of information technology has promoted the overall digitization of society, and data and information assets are infiltrating into all aspects of production and life. On the other hand, as people become more and more dependent on data and information technology, information brings people great convenience and high efficiency. At the same time, the digital world will also bring problems, such as false information, digital garbage, network pollution and so on. Therefore, the establishment of a digital world environmental governance system has become an urgent and important issue. Ms Dorothy Guerrero is the Head of Policy and Advocacy Team of Global Justice Now, a democratic social justice organization that is working with global movements to challenge the powerful and create a more just and equal world. Dorothy is an internationalist with almost 30 years of experience in social movements and NGO development work as a researcher/analyst, educator, organizer and campaigner. She works on and writes about social justice and development issues, climate change, corporate power, China, migration and other related concerns from a radical pluralist Left perspective. Abstract: It is very important to understand how China carved out a new role for itself in the current stage of global capitalism. China is now seen as globalization’s new champion, with growing investments not just in the developing countries but also in Europe and other advanced economies. Rather than creating divisions along nationalist lines by China-bashing, progressive movements and organizations should find ways to forge common ground with the millions of workers and rights campaigners inside China to increase the global demand for an end to global inequality, injustices, exploitation of workers and the destruction of our planet. Challenging the power of capital (whether Chinese or not) must not take the form of populist measures that raise fear and hatred against others. Rather, it should take the form of building collective working class power at a global level. For movements and NGOs, the primary questions are whether the new powers and wealth of Chinese companies/the Chinese state are serving the interests of the workers and the poor in China, as well as in the core countries and the periphery where it invests and trades. If not, how do we raise our concerns about the increasing power of corporations in general and do away with the asymmetry of power between governments, corporations and people? Dr RUAN Ji is currently an Associate Professor at Hanshan Normal University in China; he obtained his PhD in Sociology at the University of Kent in the UK. His research areas and focuses include guanxi, bribery, corruption, interaction rituals, social capital, social stratification, social exclusion, trust, rural governance, intercultural communication, Confucianism (xinxue), Buddhism and Taoism. Recent publications: Guanxi, Social Capital and School Choice in China: The Rise of Ritual Capital (London: Palgrave Macmillan, 2017); ‘Ritual Capital: A Proposed Concept from a Case Study on School Selection in China’, Asian Journal of Social Science 2017:45(3); ‘Interaction Rituals in guanxi Practice and the Role of Instrumental li’, Asian Studies Review, 2017:41(4); ‘The Role Played by renqing in Bribery and its “Moralizing“: An Ethnographic Study on School Choice in China‘, Sociological Studies, 2018.2:189-213 [in Chinese]. Dr CHEN Feng is currently an Associate Professor at Beijing University of Technology. He obtained his PhD in Sociology from the University of Hua Zhong University of Science and Technology. His main research directions are rural sociology and political sociology, with a focus on rural governance. To date, he has published one monograph and more than 20 papers in CSSCI journals. Resent publications include: Governmentality and the Legitimacy of Rural Governance: Field Narrative and Interpretation of Chinese Bei Town (Social Science Literature Publishing House, 2016) [in Chinese]; ‘“Qi” and “Life Politics” of Rural Class Differentiation: Based on a Investigation of Xi Village of Ping Town in East Zhejiang’, Journal of Nanjing Agricultural University (Social Science Edition), 2017:6 [in Chinese]; ‘The Hierarchy of Profit Division and Grassroots Governance Involution: The Logic of Rural Governance’, Society, 2015:(3) [in Chinese]. Abstract: This paper is based on two case studies of residential land distribution in two Chinese villages (in Zhenjiang and Guangdong province, respectively) between 2015 and 2018. Here, residential land allocation has shifted from a household-based process to a market-based process, resulting in spatial segregation and social exclusion of the poor. Three spatial divisions are clearly formed in both villages, with an area of villas for the upper class, peasant apartments for the middle class and old houses for the lower class. Five features of this exclusion are identified. 1) Some rich villagers use guanxi (personal connections) with village cadres to acquire more land and apartments in order to increase their profits, leading to exclusion of the poor who do not have guanxi. 2) Since poor young men can no longer obtain land in the traditional way for free, as was the case under the previous method of land distribution, and cannot afford to buy an apartment, and young women require their groom to have a new apartment or house, poor young men are excluded from the marriage market, resulting in shrinking guanxi networks, poor social capital, and loss of face. 3) The poor are excluded from ritual activities, since it is traditionally believed that a person with good luck will bring good luck to others, while a person with bad luck will bring bad luck; this leads to a decline in the ritual capital held by the poor. 4) Owing to the symmetrical characteristic of the renqing ethic, the poor are excluded from holding ‘renqing activities’ (traditional reciprocal activities such as banqueting and gift giving). As the rich have significantly increased the expense of such activities beyond the ability of the poor to reciprocate, the poor lose face and their social circles are narrowed. 5) With socio-spatial segregation between the rich and the poor, gossip, which in the past could affect the whole village, now becomes less effective. However, since the rich dominate the politics of the village, their gossip may become the public voice, and gossip by the poor does not result in social supervision and social sanction by the village cadres and the rich. Thus, guanxi and renqing exacerbate social exclusion, which in return shrinks the guanxi networks held by the poor and weakens their social capital, leading to the perpetuation of inequality. Although this phenomenon of social exclusion inside villages may have its institutional causes, its cultural causes cannot be neglected. Professor WANG Tie studies the direction of sociology, social psychology, modernization theory and issues concerning agriculture, rural areas and farmers. Former Director and researcher of the Rural Research Center of the Wuhan Academy of Social Sciences, Director of the Institute of Information, Vice-President of social psychology of Hubei Province, member of the Standing Committee of the Jiang'an District CPPCC. Since becoming engaged in sociology research, he has published more than 60 papers and survey reports, including more than 10 articles published in national academic journals, two co-authored works published by national publishing houses, and three collaborative works. Abstract: he integration of migrant workers into cities in China has become a difficult problem for the sustainable and coordinated development of our society, owing to its huge scale and its unprecedented concentration in terms of time and space in the history of human urbanization. One of the key breakthroughs in this study is to creatively refine the concept of the ‘embedded state’, which is a highly symbolic and constructive category, based on the core concept of ‘spatial production’ in Western space sociology and in view of the reality of the process of urbanization of migrant workers in China. The mechanism for progression along the evolutionary path of migrant workers from ‘embedding’ to ‘integrating’ has transformed spatial sociology from Western social critical theory into social construction theory with Chinese characteristics. ‘Embedded’ survival is the representation of the living conditions of Chinese migrant workers at this stage, which reflects not only vividly but also profoundly the real picture of migrant workers' personal experience in the urban social space. This study analyses the current situation of migrant workers' citizenization in China from the point of view of four dimensions: living space, communication space, right space and spiritual space. The study shows that the average value of the objective degree of ‘embedding–integration’ (four first-level indicators, 11 second-level indicators and 38 third-level indicators) and the subjective degree of ‘embedding–integration’ (10 indicators) are 52.03 and 51.64, respectively, indicating that Chinese migrant workers have passed through the difficult ‘surface embedding’ and ‘moderate embedding’ stages and have advanced to enter the critical period of ‘deep embeddedness’, which gradually evolves in the direction of ‘basic integration’. Floating ‘embedded’ survival is the direct representation of the living conditions of migrant workers in the construction industry. Low-quality living space, the absence of the right space, the separation of communication space and the lack of spiritual space directly reflect the ‘embedded’ life of these workers. The ‘floating’ nature of the living space of migrant workers in the construction industry, especially the ‘floating’ nature of residence, is an important reason for the significant differences between them and other migrant workers in the right space, communication space, spiritual space, integration and other aspects, making them the most difficult group of migrant workers to integrate into the city. The cost to the government of the citizenization of migrant workers is a matter of great concern to academics and policy-makers. This study also constructs a standardized model of migrant workers' citizenization. Dr Li Sun is a lecturer in Sociology and Social Policy at the University of Leeds. Before coming to the UK, she worked in universities in Germany, the Netherlands, the US and China. Besides academic positions, Dr Sun also serves as a consultant to the UN, the World Bank and the OECD, as well as various government offices in the UK, the Netherlands and China. Her main research interest is urbanization and governance, including rural–urban migration, social policies, and land and housing. Her publications appear in journals such as Social Policy & Administration and Land Use Policy. Her book entitled Rural–Urban Migration and Policy Intervention in China will be published by Palgrave Macmillan in 2018. Abstract: According to UN-Habitat, more than one billion people worldwide live in informal settlements (e.g. slums), which lack legal security of tenure. In recent years, a large amount of informal housing has been built in suburban or urban villages in China, which has been termed ‘Small Property Rights Housing’ (SPRH). The SPRH cannot be granted legal title or security of tenure according to the Land Administration Law. With rising house prices in China, an increasing number of low-income groups such as migrant workers are interested in purchasing such informal housing, thanks to its affordability. According to unofficial data, the total SPRH amounts to 6.6 billion m², consisting of the homes of 80 million inhabitants. As an emerging phenomenon of informal settlements in China, much about SPRH remains unknown. Based on empirical data, this research finds that the lack of legal title does not affect SPRH dwellers’ behaviours and daily life on the ground, which is examined from the perspectives of investment, access to credit, transaction value and probability of eviction. For example, despite the lack of de jure security of tenure, it is common to find that SPRH dwellers spend a significant amount of money on renovating, decorating and furnishing their houses. Therefore, the SPRH, which has emerged by means of self-organization or spontaneously, grants migrants rights to the city, especially housing rights. Dr Dongning Feng is Senior Lecturer in Translation Studies in the Department of Linguistics of the School of Languages, Cultures and Linguistics, SOAS, University of London. He is a Member of the SOAS Centre for Translation Studies and the SOAS China Institute. His research interests are in the sociological approach to translation studies, politics and translation, critical discourse analysis and translation studies, translator's autonomy, translation and cultural studies, qualitative methodology in translation studies, pragmatics and subtitling, cognitive approach to interpreting studies and Chinese area studies. Dr Maung Zarni is a non-resident fellow with the Sleuk Rith Institute/(Genocide) Documentation Centre of Cambodia and an adviser to the European Centre for the Study of Extremism based in Cambridge, UK. A permanent exile in Britain, he is the author of the forthcoming book, The Enemy of the State Speaks: Fifty Irreverent Essays and Interviews (Prothom Alo Press, 2018). He has written extensively on grassroots activism, ‘Buddhist‘ racism in his native Myanmar (formerly Burma), peace-making, civil society, democratic transition, Burmese military affairs and Aung San Suu Kyi's failed leadership. His scholarly and journalistic writings have been published in both academic and media outlets, including the New York Times, The Guardian, South China Morning Post and The Times. Dr Zarni was educated at the universities of Mandalay, California, Washington and Wisconsin, and, as a professor, has taught and/or researched in Asia, Europe and the USA. Abstract: I will dissect Myanmar’s internal conflicts and international state crimes against the backdrop of the tensions between the predominantly Western discourses of human rights and the absolutist perspective on sovereignty espoused by formerly colonized, semi-colonized or subjugated countries such as China, ASEAN nations and Japan. I will ground my reflective analysis in my 30 years of first-hand involvement in international politics and human rights activism. In the progressively inter-connected world of commerce, conflicts and (global) communities, the idea of state sovereignty vis-à-vis state responsibility (of states over the well-being of human persons within their territorial confines) needs serious and urgent rethinking. This need is more pressing in cases where states are credibly accused of atrocity crimes (specifically, crimes against humanity, war crimes and genocide, which have been established as legal crimes). The rethinking of sovereignty in the face of atrocity crimes committed by member states of the current world order clustering around the United Nations is not simply an academic exercise, but an act that can potentially have life-and-death consequences for millions of humans in wretched conditions, including conflicts, wars and systemic oppression. One such contemporary case involves the UN member state of Myanmar, which, according to the ICC Prosecutor’s Office, forcibly deported 700,000 Rohingya Muslims from Myanmar (formerly Burma) at the lightning speed of 100,000 per week on to the soil of a neighbouring sovereign state, Bangladesh, in the autumn of 2017. Sino–Burmese border instability is another permanent spill-over impact of Myanmar’s internal conflicts on China along the 1,000-mile-long border, where Myanmar armed forces – the Air Force and the Army – are engaged in what the British used to call a ‘pacification campaign‘ against the autonomy-minded communities, such as Kachin Christians, a local Han Chinese group named Kokang and others in the country’s highlands. Finally, I will attempt to offer a more human-centred approach to resolving contemporary conflicts and international state crimes. Dr Walter LEE Wan Fai is Assistant Professor and Programme Leader for Global and China Studies in the School of Arts and Social Sciences at The Open University of Hong Kong. Before he joined the School, he taught Global China Studies and Social Sciences programmes in the School of Humanities and Social Science at The Hong Kong University of Science and Technology (HKUST). He was Visiting Scholar at the Division of International Politics Theory, Institute of World Economics and Politics (IWEP), Chinese Academy of Social Sciences (CASS), Beijing. He was also Senior Research Fellow in the Faculty of Law at The University of Hong Kong (HKU). Dr Lee was a research assistant in the Researcher Fostering Laboratory, China in Comparative Perspective Network at LSE. In recent years, he has been an active paper presenter, panel chair and discussant at international conferences and seminars in Hong Kong, mainland China, Taiwan, the United Kingdom, Australia, New Zealand, Finland and Russia. Abstract: Knowledge production in international relations has entered an unprecedented era. The use of classical Chinese resources for innovation in global governance has increasingly drawn attention from scholars in Chinese international relations and beyond. This speech critically reviews knowledge production in global justice and points out three features of rethinking the world and innovating new perspectives on global justice, namely decentralization and fragmentation; transformation in the global political landscape; and emergence of the Chinese international relations narrative. In terms of international conflict resolution, it is possible to excavate useful resources from Chinese civilization and to invite them to dialogue with current global understandings of the origins and causes of conflict, the peaceful ending of conflict and retribution, and reconciliation. This may bring us better versions of peacemaking, peacekeeping, peacebuilding, good offices, mediation, negotiation, diplomacy and arbitration. One beginning point is to build global moral consensus on the platform of universal conscience. This presentation will discuss the ideas of liangzhi and ceyin in Confucianism, also findings in Chinese Buddhism to illustrate how classical resources can be applied. It concludes that scholars of China and the West should focus on our common understanding of morality and reason – something of which both China and the West have great traditions. Professor LI Hong, PhD in Philosophy and Sociology, Jilin University of China, Professor of the School of Social Sciences, Northeast Normal University, Academic Leader of Sociology of Northeast Normal University, Executive Director of the Society of Sociology of Jilin Province, Expert Library of the Ministry of Education, an expert of the Education Department of Jilin Province Expert Bank, part-time researcher at the Key Research Base of Humanities and Social Sciences in Jilin Province. She is mainly engaged in Western sociological theory, labour sociology, corporate social work and other fields of research. She has frequently participated in and presided over Chinese national, Ministry of Education and provincial-level social science research projects. Her main representative works include Labor Relations and Social Construction in the New Era, Introduction to Sociological Realistic Social Views: Evolution of Western Sociological Social Views Research, Analysis of the Social Integration View of the Durkheim ‘Corporate Group’(thesis), Analysis of the Influence of Enterprise Group Power Status on the Labor–Management Relationship (thesis), Current Suggestions on Coordinating Labor–Management Relationships in Private Enterprises in China (thesis) and The Socialization of Non-public Enterprise Trade Unions is the Key to the Coordination of Labor Relations (thesis). She won first prize in the 18th ‘Elite Cup’ achievement awards of Jilin University, first prize for outstanding scientific research achievements in Jilin province sociology academy, the first prize of ‘the 5th outstanding scientific research achievement’, Jilin University of Finance and Economics, and second prize for scientific research achievements during the period of the Ninth Five-Year Plan in the national taxation college. In 2014, she went to the University of Alaska on an academic exchange. Abstract: The adjustment of labour relations in Chinese society has a specific historical background, that is, the background of the transition from the traditional unit system to a post-unit system and from a planned economy to market economy. The contradiction of labour relations is mainly reflected in the following aspects: 1. How a large number of laid-off workers in the process of reforming state-owned enterprises obtain the labour security offered by enterprises; 2. In the Chinese context, the rise of private enterprises is in conflict with the growing material and cultural needs of labour workers; 3. The management mode of a large number of foreign-funded enterprises is in conflict with the behaviour mode of local Chinese labour workers. In the past, in China, the adjustment of labour relations and the governance of labour issues exhibited the following characteristics: 1. Modification of the Labour Contract Law and reform of the labour employment method, with an eye to globalization; 2. Adjustment of the social systems of labour relations in the direction of fairness and justice to make them more inclusive, including adjustment of the labour security system, the minimum wage system and the tripartite consultation system; 3. Making benign adjustments with social creativity regarding labour relations, including the construction of non-public enterprise labour unions with Chinese characteristics and the EAP plan for corporate social work. However, the adjustment of labour relations and the governance of labour issues are not smooth sailing. In the future, the improvement of the working mechanism of China's labour relations requires the government to increase support, the active participation of the working people, the vigorous development of social organizations, the improvement of the social environment, the improvement of labour ethics and the development of a corporate culture. With the continued vision of globalization, the orientation of fairness and justice, the foundation of inclusive social development and the impetus of social creation, the aim is constantly to improve labour relations and promote labour–management unity. Dr Maurizio Marinelli is Associate Professor in East Asian Studies and Co-Director of the Asia Centre at the University of Sussex. He is a Visiting Senior Research Associate at the Institute for Global Prosperity, The Bartlett, University College of London, where he leads the East Asian Cities Knowledge Network. The focus of his research is located at the crossroads of Chinese urban history, politics and society. He has worked for several years on the socio-spatial transformation of the port city of Tianjin, from the foreign concessions era (1860–1945) to the present, leading an ESRC-funded project. He recently published the co-edited volume China: A Historical Geography of the Urban (Palgrave, 2019) and How to Build a ‘Beautiful China' in the Anthropocene. The Political Discourse and the Intellectual Debate on Ecological Civilization, part of his co-edited Special issue for the Journal of Chinese Political Science, 2018, 23(3), 365-386. He is currently writing a manuscript for Zed Books entitled Hong Kong: Markets, Street Hawkers and the Fight against Gentrification. Abstract: This paper focuses on the socio-spatial politics of land redevelopment and displacement in Hong Kong, with particular attention to the last two decades. It offers both an investigation of the dominant ideology of economic prosperity (Tang et al., 2011), through an in-depth study of its impact on the daily lives of local residents, and an analysis of the forms of social activism and resistance to the urban planning interventions that have determined the transformation of the physical and socio-economic structures of retailing and dwelling in colonial–global Hong Kong. The selected focus is the progressive annihilation of street markets to create space for ultra-modern, luxury high-rise buildings. Street markets offer a unique lens to investigate the political discourses of the urban (Lefebvre, 1970) and to analyse the negotiation processes between the vertical strategies of gentrification and the horizontal tactics of urban resistance. Street markets are barometers of equity and economic development, collective sociality and sustainability, living heritage, social prosperity and community cohesion (Watson, 2005; Stillerman 2006; Shepherd, 2009; Marinelli 2018). This paper will concentrate on the Sham Shui Po markets area in Kowloon, Hong Kong, to analyse two main elements: 1) the nexus between politics and policy, as well as policies and practices; and 2) the critical role that place-shaping and people-making play in the construction of collective identity in public space. Located in a district characterized by a high number of post-war public housing estates, Apliu Street is well known for its hawkers’ stalls and shops selling electronics and electrical components. However, the wider area has progressively witnessed increasing numbers of formal, semi-formal and informal street-level economic activities (e.g. the Yen Chow Street Hawkers Bazaar, also called Pang Jai, the Tung Chau Street so-called ‘temporary market’, etc. ), which are now operating for at least 18 hours a day. In this paper, I engage with the concepts of stratification, precarity and democracy in action, both in a spatial–temporal and a political sense, to unpack the multi-layered identity of the Sham Shui Po markets area. This angle of analysis will enable us to better understand the role of concerned civil society organizations vis-à-vis government authorities in the battle ‘to save the market’ and create alternative pathways to social creativity. Professor Xiangqun Chang is Director of the Global China Institute, a global academic institute for advancing the study of China and the Chinese from a comparative perspective, Editor of the Journal of China in Comparative Perspective (JCCP), Editor-in-Chief of Global China Press and Senior Consultant to the Global China Thinktank, a knowledge-based think tank for social consultancy. She is also Honorary Professor of University College London (UCL), Professorial Research Associate at SOAS, University London, Visiting Professor of the University of Westminster, and holder of several Professorships and Senior Fellowships at Peking, Renmin and Fudan Universities in China. In the past two decades and more, Xiangqun has conducted over two dozen research projects. Her academic publications amount to over two million words (in English and Chinese), including Guanxi or Li shang wanglai? : Reciprocity, social support networks and social creativity in a Chinese village (Chinese 2009, English 2010). Based on the above thorough and detailed ethnography of a Chinese village with longitudinal comparisons, and borrowing and adapting Chinese classical and popular usage of li shang wanglai (礼尚往来), she has been developing a general analytical concept – ‘recipropriety’ (互适), the mechanism by which Chinese society and Chinese social relations operate, thereby contributing to existing theories of reciprocity, social exchange, interaction, relatedness, social networks and social capital with characteristics of ‘ritual capital’. Mr XIANG Xiaowei, Minister-Counsellor, Culture Office, Chinese Embassy to the UK. He graduated from Chongqing Foreign Language School in 1981 and was admitted to Peking University with first place in Chongqing City according to the local chorography. He worked as Deputy Director of the Bureau for External Cultural Relations, the Ministry of Culture, a ministry of the government of the People’s Republic of China. He has engaged in diplomatic work from 1988 to the present, working in the Chinese Embassy to the United States, Canada, Malta and the UK. Mrs Ingrid Cranfield, BA (Syd. ), PGCE, QTLS, MSET, FRGS, LLG (Enfield), Deputy Director of Global China Institute, President and Principal Editor of Global China Press; former Deputy Mayor of the Borough of Enfield. As an author, editor, translator and lecturer, her career began at the Royal Geographical Society, which holds the largest private map library in the world, accessioning maps and advising researchers and writers. She is the author of 13 books and has edited thousands of books, articles and other works, in print and online. She was a Senior Editor on The Dictionary of Art (Macmillan Publishers). She taught English to college students and was a lecturer and supervisor of trainee teachers. She has been a school governor in London for 30 years and is a member of the International Commission on Couple and Family Relations. Professor Hugo de Burgh is the Director of the China Media Centre and Professor of Journalism in the Communications and Media Research Institute of the University of Westminster. He worked for 15 years in British TV and is an authority on investigative journalism. His books and articles on China and its media have been published widely. He is writer presenter of The West You Don't Know, a 7-part documentary series which was the first commission by CCTV of foreign-made current affairs programmes. He is the author or editor of 10 books; his most recent books are: China’s Media in the Emerging World Order (2017) and (co-edited) China’s Media Go Global (2018). Earlier books include The West You Really Don’t Know (in Chinese, 2013), China’s Environment and China’s Environment Journalists (2012) and Investigative Journalism (2ndEdition, 2008). He is Professor at Tsinghua University, and was SAFEA (National Administration for International Expertise) Endowment Professor. 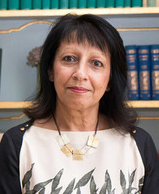 Kishwer Falkner, Baroness Falkner of Margravine, entered the House of Lords in 2004, where she is currently Chairman of the EU Sub-Committee on Financial Services, and a Member of the EU Select Committee. Her committee has published reports on Brexit: Financial Services, Brexit and the EU Budget and Brexit: The Future of Financial Regulation and Supervision. She led on Foreign Affairs for the Lib Dems during the Coalition Government from 2010 to 2015 and has served on several parliamentary committees, including the Constitution Committee, the Joint Committee on Human Rights, the European Union Committee on Foreign Affairs, Defence and International Development and the Committee on International Organisations. Kishwer’s academic background is in International Relations; she obtained degrees from the London School of Economics and the University of Kent. She has held Fellowships at St Antony’s College, University of Oxford, and at the Institute of Politics, Kennedy School of Government, Harvard University. Kishwer is currently a Member of a Bank of England Committee on Enforcement, a Visiting Professor at King’s College, and member of the Anglo-German Conference, Koenigswinter. Mr Khalid Nadeem founded the South Asia & Middle East Forum in 1999, and it has become well known for its work on such areas as Afghanistan, lran, lraq, lsrael-Palestine and lndo-Pakistani relations, focusing on conflict issues and humanitarian issues. He has been Chairman of the forum since its inception. He has trained as a lawyer and has a background in property and finance. Mr WANG Yigang, Director of the Global China Thinktank, Global China Institute and Director of the Himalayan Civilization Comparative Research Centre (HCCSC), Executive Director of the Preparatory Committee of the Chinese Himalayan Special Foundation, Chairman of the Board of Ancient Culture and Art (Chengdu) Co. Ltd. Mr Wang Yigang has long been dedicated to the comparative analysis of Eastern and Western cultures and the application of social practice. He has long-term practical experience of Himalayan cultural and academic exchanges and the protection of the Himalayan cultural heritage. In the context of China’s growing globalization, the focus is on the interaction of inter-cultural civilization in the Pan-Himalaya region, the integration of multiple disciplines and multiple institutions, the conduct of comparative research on Himalayan ecological diversity and cultural pluralism, and the promotion of the protection and inheritance of Himalayan culture and art. Mr Philip Hao, Vice-General Secretary of Global China Institute, President of YES Global (Young Elite Scheme Global), CEO of UVIC Group, leading education consultancy provider, and the largest immigration service centre in the UK, with an ethos of contributing to sustainable development and corporate social responsibility. He is a strong believer in and facilitator of ‘learning without borders’, and founded the Learning without Borders Global Education Comparative Study Centre (LwB-GEx), at the Global China Institute. Professor Li Wei, FAcSS FRSA, is Chair of Applied Linguistics and Director of the UCL Centre for Applied Linguistics at the UCL Institute of Education, University College London. His main research interest is in the broad area of bilingualism and multilingualism, which includes bilingual and multilingual first-language acquisition (BAMFLA), early second-language acquisition (ESLA), speech and language disorders of bilingual and multilingual speakers, the pragmatics of codeswitching, bilingual education and intercultural communication. His current work focuses on the creativity and criticality of multilingual speakers. He is also interested in Asian philosophies (especially Confucius, Taoist and Buddhist philosophies) and linguistic pragmatics, the concept of 'self' in different cultures, and the application of Conversation Analysis to intercultural and cross-lingual professional communication. His research interests connect with other disciplines and research areas, including diaspora studies, cultural memory, anthropology, qualitative psychology and cognitive science. Professor Li is Principal Editor of the International Journal of Bilingualism (Sage) and Applied Linguistics Review (De Gruyter), Co-editor of Chinese Language and Discourse (Benjamins) and Global Chinese (De Gruyter) and book series editor for the Guides to Research Methods in Language and Linguistics (Wiley-Blackwell), Contemporary Applied Linguistics (Bloomsbury) and Language Policies and Practices in China (De Gruyter). Professor Tony McEnery FAcSS, FRSA, Director of the CASS Research Centre (Corpus Approaches to Social Science), a Distinguished Professor of English Language and Linguistics at Lancaster University. Former Interim Chief Executive and Research Director of the Economic and Social Research Council (ESRC). As a leading scholar in the field of corpus linguistics, he has published widely on the interrelation between language and social life, notably in the area of the online and print media. His latest books include Discourse Analysis and Media Attitudes (Baker, Gabrielatos and McEnery 2013) and Corpora and Discourse Studies: Integrating Discourse and Corpora (with P. Baker 2015). Mr Jerome Feldman was born in 1951 in Ithaca, New York, USA. He was on an exchange programme from SUNY to the Polytechnic of Central London in 1971. He has a Master's degree in business management from the Free University of Berlin, 1976. Mr Feldman was a distinguished lecturer at the Berlin Institute of Economic Management and the University of Berlin. He has had a long-term commitment at the German Mint Office, Gillette Company, various Berlin consulting companies, Coca-Cola Germany, as well as other enterprises, relating to business training and teaching programmes. He was under contract as a freelance at Siemens Power Generation AG, providing business negotiation consulting and technical services. In 2004, he founded the Jeelong consulting company as a general manager for Chinese enterprises to enter the German market and has done a great deal of organizational and coordination work over many years. Abstract: Reference to ‘Industry 4.0’ was made for the first time at the German Hannover Trade Fair of Industrial Technology in 2011. In general, Industry 4.0 includes the development and integration of innovative information and services; which involves the utilization of communication technologies in industry. In fact, Industry 4.0 actually means the ‘Fourth Industrial Revolution’. The first began with the development of the steam engine and the introduction of heavy mechanical manufacturing equipment in England. The second was characterized by the utilization of electricity, which allowed the use of the conveyor belt and the assembly line, and the third industrial revolution brought about the automation of production processes through the massive use of electronics and information and communication technologies. Ultimately, the evolvement of cyber technologies and their integration into digital ecosystems is the basis for the fourth industrial revolution, or Industry 4.0. German industry is currently among the world leaders in the automotive and other industrial fields. Along with its global suppliers, it provides jobs and prosperity not only for the workers in Germany but also for millions of workers around the world. This makes the notion of industrial and political isolationism all the more ridiculous. My short presentation will concentrate on how the German automotive industry will be using 5G network technologies – the Internet of things – which in future will be the ultimate key to industrial globalization. Abstract: Technology drives the world to rapid changes, and the rapid development of technologies such as cloud computing, big data, artificial intelligence and mobile networks is increasingly connecting the world into a whole. This has changed our society and life, and has enabled humanity to usher in a new era of unlimited integration of ‘Heaven, Earth, Humans and Things’. At present, the consumer Internet is shifting to the industrial Internet. In such a change, global interconnected intelligence will no doubt become the focus of development, as well as one of the cores and commanding heights of competition among all sectors, all industries and all countries. In such a big scene of transformation and changes, economic and social development will inevitably face many new problems and new challenges. At the same time, it will also obtain new opportunities never previously found. Dr ZHANG Wei, Executive Director of Nanjing Agile Enterprise Management Institute, co-founder of Agile Think Tank (http://www.agile.org.cn), PhD in Management. Engaged in management, information research and practice for more than 20 years. Social duties: Secretary-General of the Academic Committee of the China Management Science Society, Chairman of the Personnel Committee of the China Science and Technology Advisory Association, Chairman of the Personnel Committee of the Jiangsu Science and Technology Advisory Association, Vice-President of the Jiangsu Software Industry Association. Abstract: The development of cloud computing, Internet of things, artificial intelligence and the deep integration of the new generation of information technology and manufacturing is leading to far-reaching industrial changes, forming new modes of production, industrial forms, business models and economic growth points. Advanced technology needs a suitable management mechanism to give full play to its advantages. Technological innovation and management innovation are the two ‘engines’ for promoting intelligent manufacturing. From the perspective of technology and management innovation, this report focuses on key elements of data, integration and standards, sharing best practice cases, and exploring opportunities and challenges, transitions and breakthroughs in enterprise intelligent manufacturing. Dr Xiaobai Shen, PhD (UoE), MPhil (CASS), BSc (SRI). Senior lecturer in International and Chinese Business, the University of Edinburgh Business School. Her academic background falls in Science & Technology and Innovation Studies, and her previous work includes socio-technical analysis of technological capabilities in the ICT and biotechnology sector, from a developing country perspective. Her current research interests are more concentrated on the innovation of public goods (such as creative cultural content, open source software, infrastructural ICT, agricultural biotechnology) and the role of the Intellectual Property protection regime, standards, and government policies and regulations. She is currently working on research funded by the FSE on ‘Isomorphic Differences? Familiarity and Distinctiveness in National Policies for Science, Competitiveness and Innovation’, comparing the US, China and Denmark. She is the author of The Chinese Road to High Technology: The Case of Digital Telecommunications Switching Technology in the Economic Transition (Palgrave Macmillan 1999). Abstract: This presentation uses the case of Brexit in the UK to ask how ‘democratic’ the West is in today’s digital age. It discusses the challenges/opportunities in reflecting and understanding the general public with complexity and dynamics; and the various issues with regard to ‘digital traces’, such as ownership, accessibility and governance. It argues that China has already built a more integrated cross-platform digital infrastructure than the West. However, turning digital data into meaningful ‘digital traces’ needs interdisciplinary research – ‘digital humanities’. Professor ZHANG Fengrong, Professor and doctoral supervisor of Northeast Normal University, the Executive Director of the China Live Statistics Association, the special technical expert of Jilin Province in the ‘Chinese Women's Social Status Survey Project’ and evaluation expert of Jilin Province Science and Technology Project. Her main research interests are industrial economics and economic sociology, with in-depth research in big data social governance, supply chains, CSR and feminism. At present, she is presiding over the National Social Science Fund’s ‘Evidential Research on the Advancement of Big Data Social Governance’ (17BSH135) and the General Planning Fund of the Ministry of Education’s ‘An Empirical Study on the Generation of Citizen Behaviours and the Innovation of Grassroots Social Governance Mechanisms in the New Generation’ (15YJAZH107), having published more than 50 papers, of which most have been indexed by SCI, SSCI, EI, ISSHP and CSSCI. Abstract: The transformation of the big data industry has forged the direction of the development of the world economy. The sustainable development of the big data economy depends on a relatively sound data ecology and industrial layout. It is significant to explore the social changes and cultural transformation of global society by big data, in view of the challenges to the social structure of global society from the UK’s withdrawal from the European Union and the United States’s withdrawal from many international organizations. The demand for traditional labour in the data industry has fallen sharply. Labour costs are no longer an important factor affecting the distribution of investment by developed countries in developing countries. The data industry strategy will enable traditional industrial countries to regain their status as manufacturing powers. The United States has taken the lead in the field of artificial intelligence, and traditional European industrial countries such as Germany, France, Italy and the United Kingdom have also actively explored the transformation enabled by big data. Data economic policy competition will further accentuate the development and differentiation between emerging economies. The ‘data gap’ and the data infrastructure gap will also become important constraints for the transformation of the economy in areas where the development of the big data economy is lagging behind, as for instance in Mexico. Emerging economies, such as China, South Korea and India, are the most typical examples of big data development that have established advanced industrial systems and will become leaders in the digital economy. China has been at the forefront of digital development in the world in many fields. In addition to promoting the integration of the Internet and traditional business forms, China has also begun to actively explore in the field of advanced manufacturing. Topic: Why are other countries afraid of the IT revolution in China? Abstract: China has set a national goal of becoming the world’s leading technology nation by 2025. It has already taken great strides in the advanced use of information technology and big data. In this presentation, we’ll hear how the United States has responded to this situation by trying to restrict Chinese exports to America as part of a trade war. President Trump and his advisers claim that Chinese companies often steal key ideas and show little respect for the rules of international trade. The presentation will then turn to how two major Asian countries, India and Japan, view China’s new status as a technology leader. For Japan, China is something of a rival but many famous Japanese cooperate with their Chinese counterparts on technology projects. India fears disruption to its service sector by competition from China and is also pressing China to open its markets to more Indian companies, such as telecom firms. Professor ZHU Guanglei, Vice-President of Nankai University; ‘Cheung Kong Scholars‘ Program Distinguished Professor; member of the State Council Subject Consultative Group, Deputy Director of the Colleges and Universities Political Science Steering Committee; Vice-President of China Public Sectors Reform Research Council; Vice-Chairman of Tianjin Federation of Social Science. Research areas mainly located in Chinese government and politics and Chinese social class differentiation. Representative works include Analysis of Contemporary Chinese Social Class; The Governmental Process of Contemporary China; Modern Government Theory; Governing China – Decision Making and Implementation: Interpretation of the Processes of the Chinese Government, and so on. The paper ‘A Critique of the “Isomorphic Responsibility” Governmental System‘ has been reprinted by Xinhua Digest. A special allowance of the State Council was granted him as an entitlement in 1993. The title of National Distinguished Teacher was awarded in 2003. In 2004, the course ‘Chinese government and politics‘ was selected as a National Excellent Course. In addition, his ‘Chinese government and policy teaching group‘ was honoured as a National Outstanding Team in 2008. Abstract: This presentation demonstrates the results of a literature search on the keywords ‘Chinese civilisation’ and ‘Chinese civilisation comparison’, comparing the CNKI database and some digital libraries in the West. The exercise is conducted from the standpoint of a relative newcomer to research, who is interested in pursuing studies on Chinese civilization in comparative perspective. As well as discussing the findings, the presentation reports on the experience of conducting a literature search in this fashion and the differences in experiences and outcomes among Western sources and between Western sources and the CNKI database. Dr ZHAO Shu, Associate Professor of Sociology, PhD in Demography, works at Chengdu Administration Institute, with special interest in sociology, demography and related issues. Committed to social governance, population management and other issues, has independently undertaken a number of provincial, municipal and party school system research topics; has published in Chinese national and provincial journals more than 10 related scientific research papers, as well as a monograph. Won third prize in the National Academy of Administration scientific research system, and second prize for research results in the provincial party school system. Abstract: As the leading platform for the sharing and dissemination of knowledge and information resources in China, the Chinese National Knowledge Infrastructure(CNKI) provides researchers and others throughout society with convenient information retrieval, rich knowledge sharing and innovative publishing and distribution services. Taking ‘Chengdu's historical and cultural heritage and interpretation of civilization’ as an example, this paper illustrates the convenience and service provided by the CNKI to researchers in respect of resource indexing, document citation and format standardization, through an example of written content. At the same time, some countermeasures and suggestions are put forward to solve the problems in the user experience, resource integration and international development of CNKI at this stage. Ms FENG Qi is General Manager of Global China Studies Information Branch at CNKI (China National Knowledge Infrastructure). She joined CNKI in 2012, her main role being to promote Chinese knowledge to Western countries. She currently participates in the publishing and worldwide distribution of China studies-related academic materials. She earned her Master’s degree in Culture Project Conception and Management from the University of Paris III – Sorbonne Nouvelle, and worked briefly at Radio France and URTI (International Radio and Television Union) in France before joining CNKI. Abstract: Based on more than 7 million articles from 6,268 academic journals in CNKI from 2006 to 2015 and CNKI China Knowledge Resource Integrated Database as the statistical data source, using bibliometrics and comparative analysis methods, CNKI has quantitatively analysed the evaluation indexes and data on philosophy, the social sciences and other major subjects in China in statistical years from different dimensions, such as development trends, the current situation of the disciplines, institutional statistics, scholar analysis, research hot-spots and influential literature. The findings show that, in the last decade, the overall academic output of philosophy and the social sciences has increased and is now making steady progress, and the quality of research has improved greatly. Outputs in economics and pedagogy are the largest, while management science, Marxism, psychology, military science, archaeology and religious studies have attained less output. Institutions of higher education are the mainstay of academic research on philosophy and the social sciences in China at present. The overall quality of the articles from academies of social sciences and other scientific research institutions is high. The increase in researcher numbers has gradually stabilized, but over 90% of them have published fewer than five papers in the past 10 years. These big-data-based analytical methods and findings provide a valuable reference for managers of academic research in making decisions, for academic institutions in making development plans, for scholars in choosing research directions and for academic journals in soliciting and publishing work. Mr XIAO Hong, Vice-President and Deputy Editor-in-Chief – China Academic Journal (CD) Electronic Publishing House Co. Ltd., Director of Chinese Scientific Bibliometrics Research Center of CNKI and General Manager of International Publishing Center of CNKI. Mr XIAO is an expert with Special Government Allowances of the State Council, and the winner of the First China Governmental Prize for Publishing: Elitist (2007) and ‘Leading Talent in the National Press and Publication Industries’. He is an information professional in academic publishing and scientific bibliometrics with over 30 years of experience. He obtained his MS from Huazhong University of Science and Technology in 2000 and his Senior Editor position in 2002. He has been the Director of Acta Pharmacologica Sinica for 11 years, and was the founder and Editorial Director of the Asian Journal of Andrology as well as Family Medicines. During 2002–2006, he was the founder and director of the Shanghai Information Center for Life Sciences, which is responsible for offering library and information services to Shanghai Institutes for Life Sciences, Chinese Academy of Sciences. From 2006 to 2012, he was the Deputy Editor-in-Chief of Science Press, and the General Manager of Science China Press. He joined CNKI in 2012 and now is the Vice-President and Deputy Editor-in-Chief of Chinese Academic Journals (CD) Publishing Co. Ltd, and Director of the Chinese Scientific Bibliometrics Research Center of CNKI. He has made a great contribution to Chinese scientific bibliometrics, being the Editor-in-Chief of the Annual Report on International Citation of Chinese Academic Journals (2016) and the Annual Research Report on the Impact Factor of Science and Technology / Humanities and Social Sciences (2016). Abstract: CNKI provides a systematic resource system, diversified knowledge services and specialized customized programmes for the fields of philosophy and the social sciences. In terms of resources, CNKI currently includes more than 10,000 journals, covering over 5,200 titles in these fields; it includes over 1.5 million outstanding doctoral dissertations and masters’ theses in philosophy and social sciences; it also collects over 4,000 titles of yearbooks published since 1949 and nearly 5,000 academic books. In terms of knowledge services, CNKI has built more than 300 industry knowledge services and knowledge management platforms, covering various fields such as art and culture, literature, law, finance and national defence. In terms of customized programmes, CNKI can provide professional tools and platforms such as institutional repository, expert database, academic evaluation and academic misconduct detection, to meet the different needs of universities, think tanks and Party and government agencies. There are many different types of institutions in the fields of philosophy and the social sciences in mainland China, including colleges and universities (700 universities, 1,173 higher vocational colleges), think tanks (112 Party and government think tanks, 255 university think tanks, 47 social think tanks), Party and government organizations (3,550 courts, 1,854 procuratorates). CNKI is committed to utilizing the Internet and big data technologies to strengthen the infrastructure and information construction of books, documents, networks and databases in philosophy and the social sciences, and to build an information platform to share resources and facilitate their use for institutions at home and abroad. Professor JIN Wei, School of Marxism at Wuhan University, China; Visiting Fellow at Lau China Institute, King's College London, UK. Her Master's and PhD are from Wuhan University. She has been an academic visitor at the University of California, Berkeley, and the University Oxford. She is Vice-Director of the Contemporary China Research Center of Wuhan University, is a researcher at the Center for Collaborative Innovation on Marxism Theory and Chinese Practice of Hubei province, and a member of the China Historical Materialism Research Institute. She has published more than 50 papers in Chinese academic periodicals and four books. She has hosted more than 10 research projects, including the National Social Science Fund Project, Ministry of Education Humanities and Social Science Fund Project, China Postdoctoral Science Fund general and special funding projects and the Youth League Central Youth Fund Project. She won first prize at Wuhan University for her outstanding teaching paper, the Youth League Central Research Project Outstanding Achievement Award and Wuhan City Social Science Outstanding Achievement Award. Her research interests are contemporary political theories and social development in China and the Sinicization of Marxism in China. Professor LIN Jian, octor of Philosophy; Professor of National Academy of Development and Strategy, Renmin University of China, Director of the Institute of Social System Engineering; Senior Editor of the Journal of Renmin University of China; Master programme supervisor of the School of Philosophy of Renmin University of China; international scholar of the Korean Foundation for Advanced Studies and a visiting Professor of Yonsei University, Wonju Campus (2005–2006). Research areas: philosophy of science and technology; philosophy of culture; public policy; social system engineering. Works: (1) Great Master of Humanities: Foundational Achievement and Innovational Methods. (2) Introduction to Culture Studies; (3) On Innovational Integration: The Integrative Mechanism of Scientific Innovation and Technological Innovation; (4) The Evolution of Scientific and Technological Communication; (5) Discipline of Corporate Culture; (6) The Culture of Samsung. Abstract: Cultural influence is embodied in the size, direction and role of the various elements of culture in the thoughts or actions of others. Measuring the international influence of Chinese culture consists mainly of the following aspects: the cognition and sensitivity of cultural symbols; the radiation and force of cultural carriers; the influence of cultural traditions; the spread of ideas and the penetration of ideas. To enhance the international influence of Chinese culture, we should focus on the following aspects: exploring traditional culture, promoting cultural innovation and rallying public support for the concepts and spirits of Chinese culture; from the perspective of contemporary culture, vigorously spreading contemporary Chinese values; responding to other cultural challenges and demonstrating the unique charm of Chinese culture; constructing a communication system to show the appeal, attractiveness and force of Chinese culture; promoting development through exchanges, strengthening ties with overseas Chinese, leveraging the role of friends who know about and are friendly to China, and exploring overseas cultural trade; lining up with the international cultural market to enhance international competitiveness; strengthening cultural diplomacy and giving play to the role of public cultural construction; participating in all endeavours to improve policies and providing safeguarding measures. Professor SHI Xiaojun, Chief Librarian of Jinan University Library, Literature PhD, is Professor at the College of Literature of Jinan University, and doctoral tutor in ancient Chinese literature. He was formerly the Deputy Director of the Institute of Chinese Language and Literature of JNU, and the Editor-in-Chief of Jinan University Press. He is Executive Director of the Library Association of Guangdong, Deputy Director of the editorial committee of Guangdong Library Association, and Vice-President of the Chinese Academy of the Plum in the Golden Vase. He has published three books (including Retro and Renovation: the Ming Dynasty Scholars' Mental History) and published more than 40 papers. In addition to academic research, he is committed to promoting the reading and dissemination of traditional culture and masterpieces, and has edited and published hundreds of book series such as the Lingnan Culture Book series. He advocated the building of the Archive of Overseas Chinese Studies, which received extensive attention from the media at home and abroad. Abstract: The history, current situation and trend of Chinese studies at home are closely related to those of Chinese studies overseas, and the relevant literature overlaps and partly integrates these two fields. Nowadays, Chinese studies are being paid more attention around the world, and the increase in Chinese emigration shows the trend of globalization. In this context, it is necessary to determine and compare the general situation and characteristics of overseas Chinese research institutions in the world, as represented by the Jinan University Library – The Archive for Overseas Chinese Study, in order to provide a more effective and convenient knowledge service for scholars and research institutions. Mrs Mengdi Turbutt-Cai is Publisher and Director for Paths International, a British academic publisher in the UK. She took her Master’s Degree in International Business in Economics at the University of Reading, where she developed a strong interest in publishing, sales and marketing. After obtaining her Master’s, she moved to London to pursue career opportunities. In 2010, Mengdi joined Paths International Ltd as Sales and Marketing Manager. In the last eight years, she has pursued a variety of roles and developed over 12 new cooperating partners in China, as well as being the driving force behind over 170 books Paths has published on China. She also introduced and launched the new Journal programme. As a British–Chinese, she has multicultural insights and enriched experience on collaborating with China, and now continues to develop new business opportunities in academic publishing. Abstract: In the West, it is widely accepted that China is a successful economy but few people know why. In the West, many experts talk about China but Chinese experts have no voice in the West. In the West, everyone realizes that China makes nice objects but 5,000 years of Chinese culture are not understood. China will develop as a nation when its historical, cultural, social and technological wealth is understood and appreciated globally. We feel that this is the time with the greatest global potential for international collaboration in academic publishing. Paths International is a British publisher that has spent the last eight years publishing academic books and journals about China written by scholars and researchers from China. During this period, international demand for these titles has grown. There is increased acceptance for books from China published in English. China has a wealth of academic capability and leads the world in research about that country. Increasingly important subjects are history, philosophy, international relations, social sciences and architecture, as well as business, government, economics and finance. Drawing on the vision and background of the ‘Belt and Road initiative’, The Belt and Road Initiative Journal is now in its second year. This journal discusses China's international vision for growth, development and cooperation throughout Asia, Africa, Europe and the Middle East. The authors are researchers from China and practising experts in the Belt and Road initiative. International academic scholarship is a truly global endeavour and we are fortunate that China has emerged as a global player. Mr Mark Lewis is the Managing Director of Intellect, a UK-based independent academic publisher that specializes in art and culture. He is also Chair of the Intellect China Library. Dr Hiu Man Chan is the Series Editor of the Intellect China Library, and a researcher specializing in creative industries collaboration between the UK and China. Abstract: In this presentation, we will introduce the idea and ethos that underpin the Intellect China Library, a book series that was launched in 2015 by Intellect, to publish English translations of current Chinese scholarship in art and culture. So far, the series has collaborated with major Chinese institutions such as the Beijing Film Academy, the China Film Archive, Shanghai Academy of Social Sciences and the China Academy of Sciences. In the course of these collaborations, the Intellect China Library has encountered a number of theoretical and practical issues concerning cultural and linguistic translation. What is the best way to translate Chinese scholarship for Western readers and to help them participate in international debates? The Intellect China Library is, to a degree, an experiment in practice-led research itself, and is evolving its own answers to these questions. While the number of English translations of Chinese scholarship will certainly increase in the future, how such cultural and intellectual diplomacy should be conducted is also an urgent topic that requires discussion and debate to achieve some form of consensus between academia and the field of academic publishing. This presentation will share some of the challenges that the Intellect China Library has faced to date and the solutions that it has adopted to tackle these challenges and to take this debate further. Dr Baozhen Luo is an Associate Professor in Sociology at Western Washington University and an affiliate researcher of the Claude Pepper Center at Florida State University. Luo’s research examines China and its people’s presence on the global stage, politically, economically and culturally. Population ageing is a central focus of her current research agenda. In addition to producing scholarly works, she also hosts a column called ‘Four Dimension Channel‘ (四维频道), discussing a wide range of topics related to elder care policies, cultures and practices, at www.thepaper.cn (澎湃新闻), based in Shanghai. She has also written for Foreign Affairs and served as a regular commentator for China’s Global Television Network. Dr Narisong Huhe is a Lecturer in Politics at the University of Strathclyde. His research is inspired by a central question: how can we understand the formation and impact of public attitude and opinion, particularly in those societies with rapid socioeconomic changes and technological advancements (e.g. the Internet and social media)? His research unfolds along two different yet closely related lines. The first line of research extends the work of his dissertation and focuses on how various personal and contextual characteristics affect the formation of public opinion. The second focuses on the potential impacts of new media (e.g. the Internet) on public opinion. His recent works have been published in European Union Politics, Political Research Quarterly and the British Journal of Political Science. Abstract: Scholars across the world rely on research funds to support their research. While there are many different sources of research funds, the governments have always been the main sources. This is particularly true in China. To understand how government funds can affect social science research, this presentation examines funds approved by the National Foundation of Social Science (guojia sheke jijin). The findings from the study on which this is based have important implications for our understanding of the developments in social science research in China. Dr XU Jia is Vice-Principal Editor of the Northeast Asia Forum and won the ‘Excellent Editor’ award of Jilin Province in 2018. She has edited many articles, and successfully invited contributions from former US Deputy Secretary of State and Professor of Harvard University Richard Cooper, former Ambassador of South Korea to China Shin Jung-seung, President of Asia Society Japan Ogawa Yuhei, and other well-known international scholars. She maintains good cooperative relations with major Chinese research institutes such as the Chinese Academy of Social Sciences and Fudan University. She has published papers in Northeast Asia Forum, Contemporary Asia-Pacific, Journal of Yanbian University and other journals. Moreover, she also has been invited to participate in the Commemorative Seminar on the 10th Anniversary of the Launch of the Six-Party Talks, Northeast Asia Think Tank Forum and other important domestic and international conferences. Abstract: The Northeast Asia Forum was founded in 1992. It is an authoritative journal for the study of politics, economy, history and culture, regional cooperation and international relations in Northeast Asia. The Northeast Asia Forum advocates unique insights, encourages theoretical innovation and has published a series of papers by outstanding scholars from China, the United States, Japan, South Korea, and elsewhere, and has considerable influence and appeal in academic and government departments. We hope to disseminate research to promote peace, harmony and cooperation in the Northeast Asia region, and look forward to collaborating with outstanding scholars from all over the world. Professor CHEN Zhirui, PhD in History, Professor of International Relations, is the Executive Editor-in-Chief of Foreign Affairs Review, one of the China’s top academic journals in international relations, which is affiliated with China Foreign Affairs University (CFAU) and China National Association for International Studies (CNAIS). He is also a member of the academic committee of CFAU. His recently published works include: Future in Retrospect: China's Diplomatic History Revisited (2016); International System and Domestic Politics: Exploration of Neoclassical Realism (2015); China and International Society: Adaptation and Self-Consciousness (2014); Participation and Interaction: The Theory and Practice of China’s Diplomacy (2013). He was a Visiting Scholar of the Fulbright Program at Harvard University during 2014–2015, and also conducted research in international relations at Manheim University in Germany and Nottingham University in the UK. Abstract: Since the reform and opening up, and owing to its own development and progress, China’s relationship with the world has become much closer and China has gradually integrated into international society. China's diplomacy has become more active and effective. In this process, China's international relations (IR) research and its journals have also grown rapidly. There are now more than 50 academic journals in IR research in mainland China. They pay attention not only to theoretical innovation and normative research in IR, but also to the observation and analysis of the development of international relations from the perspective of China. Their international reach and influence are also being advanced substantially. However, the knowledge production and dissemination of China’s IR journals still have many problems and challenges to meet. With the support of CNKI’s big data platform, this presentation reports on a study collecting and analysing the research topics of China’s IR journals in the last decade (2008–2017). On the one hand, it tries to present changes in the agenda and topics of China's IR research, while on the other hand comparing the domestic and international citations of the top journals such as World Economy and Politics, Foreign Affairs Review and International Studies, to further illustrate the effectiveness and influence of the production and dissemination of knowledge in China's IR journals, revealing the relationship between China's historical background, academic system and knowledge production from a specific perspective, and understanding more profoundly the process and vision of China's relationship with the world. In short, knowledge production of China's IR journals has been caught in the tension between internationalization and localization. How to build a platform, bridge the gap and promote communication and understanding between China and the world is our real mission and responsibility in the new era. Ms GUAN Xiaolan, Deputy General Manager of CNKI International Branch Company. Ms Guan obtained her Bachelor’s degree, majoring in English, in 2005 and her Master’s degree on Library Science in 2010. She has worked for CNKI, the leading E-resources and knowledge service provider in China, for over 10 years and has rich knowledge and experience in digital publishing and the library service in China. Ms Guan has been head of CNKI’s international marketing since 2010 and focuses on building CNKI as a first-class world publishing and knowledge service brand. Abstract: The digital revolution in education is going full steam ahead, and is affecting everything outside and inside of the classroom. Academic research is experiencing a high-tech makeover, and also requires active interactions with product innovation. In China, the industry of E-learning is rising and affecting every family and person. With the new technology of the Internet, any child or adult can learn and practise English anywhere at any time; with new technology, students can learn not only from dry textbooks but also from video and interesting animations. New trends require new digital publishing and a new service. During the last two years, CNKI has primarily focused on how to enhance and improve the user experience by a new publishing model and knowledge service of the new generation; in addition, it recognizes that research into work flow should be more concentrated, because most research tools are used in the context of actual research. The report will share the exact application of new technology to CNKI’s service, by a deep analysis of the developing background, as well as its features and utility for the real research environment. Finally, the presentation will also raise the possibility of a future framework and prove the importance of convenience, interconnection, collaboration, knowledge segmentation and centralization for research products. Topic: How do Western media report China, how do Westerners perceive China? Abstract: China receives a huge amount of coverage in the international media. The focus is often on political issues, especially the role of the President and the CPP. Many Chinese people to feel the international coverage is unduly negative. Yet reporters within China frequently complain that constraints on their work are becoming tighter, as the authorities prevent them from gathering information. In this talk, we’ll hear about the perception of the role of the press in China and elsewhere and the battle of ideas which takes place through the media. Dr Mamtimyn Sunuodula is Head of the East Asia Section at the Bodleian Libraries, University of Oxford. He has strategic oversight for developing the Bodleian Libraries’ academic resources and services in Chinese, Japanese and Korean Studies and curatorial responsibility for Bodleian’s Chinese rare books and special collections. Mamtimyn has published widely on the role of language as a social practice in negotiating ethnic and social identities in the context of multilingual China. Mamtimyn’s current research focuses on the history of language learning and multilingualism in multi-ethnic regions of China. Mamtimyn studied psychology at Beijing Normal University and obtained his PhD from Durham University in the UK. He taught in the School of Government and International Affairs at Durham University and was Head of the Centre for Contemporary Chinese Studies, Durham Chinese School and the University Library’s Asian and Middle Eastern Collections before joining the University of Oxford. Abstract: Internationalization has been a topic of discussion and debate in UK higher education for more than a decade. The internationalization of higher education advocates for the integration of a multicultural and global dimension into the goals and functions of higher education. While these discussions focus on the ways in which the ethos of multicultural and global citizenship is integrated into the curriculum, academic programmes and institutional culture, discussion about the potential role and contribution of academic services, such as libraries, archives and museums, has been largely absent, especially in the context of educational research. In this presentation, I use a case study approach to illuminate the rich and historical content of a UK Chinese Studies library and the ways in which the Chinese Studies library collection, as an embodiment of Chinese material culture, is embedded into university internationalization goals and processes. I demonstrate that with the development of theoretical debates on internationalization and ever deeper penetration of the value and practice of internationalization into UK higher education, the role and function of Chinese Studies libraries is also being rapidly transformed from a niche area studies focus into the mainstream academic disciplinary field. This transformation provides an opportunity for both the Chinese Studies libraries to reinvigorate their central role in education and research and provide a significant base for universities to internationalize research and education. Not only do Chinese Studies libraries hold collections of books and cultural objects, but also, and perhaps more significantly, they have experts with knowledge, skills and experience. If the opportunity is seized, university academic services can contribute significantly to university internationalization and at the same time provide academic library resources and expertise with an opportunity for a new and exciting role. Dr MENG Tianguang is an Associate Professor at the Department of Political Science, and Adjunct Professor at Schwarzman College in Tsinghua University, and the Executive Director of Tsinghua Computational Social Science Institute. His research interests include Chinese government and politics, big data and governance, the political economy of development and computational social science. His articles have been published in Comparative Political Studies, Global Environmental Change, Social Science Research and Policy Study Journal. He earned his BA and PhD degrees in Political Science from Peking University. Previously, he was a visiting scholar at Harvard University and the University of California, San Diego. Abstract: The widespread use of information and communication technology (ICT) has reshaped the public sphere in the digital era, creating both digital democracy and a digital divide in political life. The Internet is widely touted for its potential to facilitate government responsiveness and reduce inequality in political influence among citizens, by lowering the participation cost and amplifying the pressure from below, but little research has examined the online opinion–policy nexus. Based on a series of big data analytics of a mass of administrative data on online citizen–government interaction in China, the study on which this presentation is based provides new micro foundations for both the facilitating effect and equalizing impact of Internet-based participation in local government policies at the regime level. The study finds that the Chinese government is considerably responsive to citizens' opinions, exhibiting a rapidly growing response rate at both individual and policy level, and the popularity of online participation-led local government to produce pro-redistributive policy, which disproportionately benefits the lower class. Abstract: This presentation draws on the assertion that Chinese social sciences have not been accorded their rightful prominence in general social science studies. It introduces Chinese social sciences, discussing their institutions, resources and methodology, and explains why we are keen to promote the globalization of Chinese social sciences in dual English and Chinese languages, with five published volumes as examples.